Chux Trux is a company that was built from the ground up purely from passion and dedication. At the time of its inception, and a select few automotive parts & accessories dealers were achieving substantial success in the industry. The owner of Chux was unfazed, however, and set about trying to build something special. After building the brick & mortar location up into a successful business, he realized that a powerful online presence had the capability to not only increase exposure, but foot traffic at their automotive parts & accessories retail location. 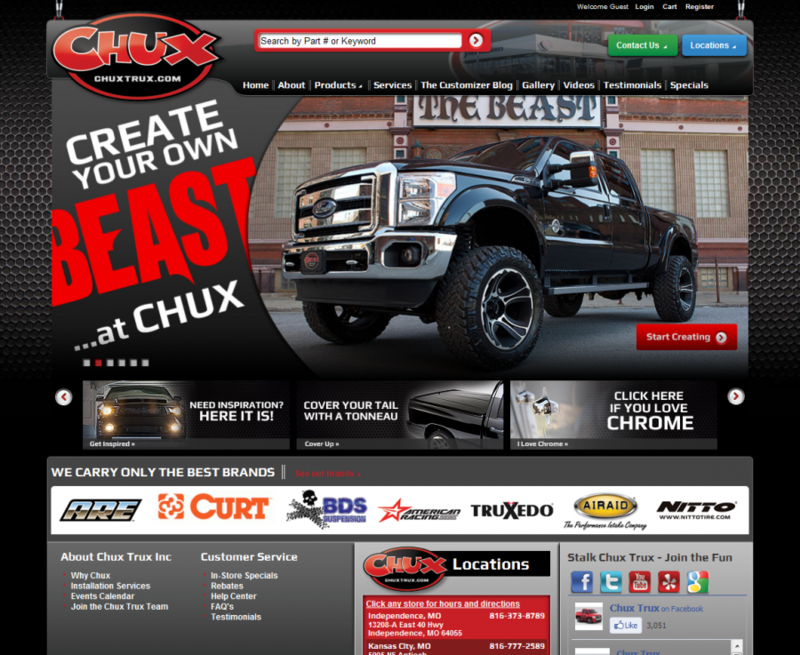 Chux Trux came to DCi after doing some research and realizing that an eStore Local website had the power to dynamically populate product information for thousands of parts from hundreds of the top automotive aftermarket brands with very little hassle.